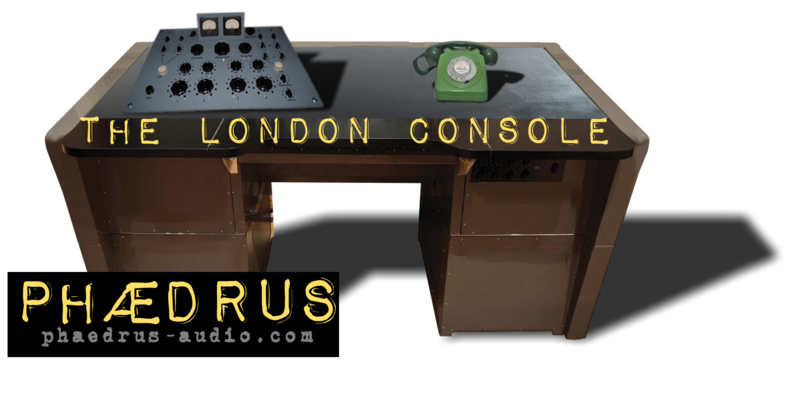 The London Console came about because, as two, amateur, recording musicians we wanted to own a "classic" console from the nineteen-sixties. Ideally a famous tube mixer - like the one The Beatles used. But those desks make a collection of hen's teeth look positively prosaic - as well as cheap! So, we set about researching and eventually building a vintage console. The requirement was for a tube tracking-mixer with four or more mic' channels (complete with classic inductor-capacitor EQs) and a simple master mixer. The brief also included the option to employ a "classic" vari-mu compressor-limiter in the chain via send-and-return. And, of course, the long-lost Stereosonic Shuffler. Frankly, the London Console, isn't for everyone. Quite apart from its rather Steampunk looks, it was very expensive to build and actually a 4 into 2 console is not much of a mixer by today's standards. 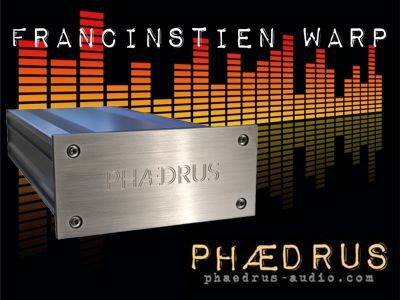 With these Phædrus Audio modules, you can build-up the signal chain of a Stereosonic console.. a piece at a time. The new PHUSION product combines two channels of the London Console in a 2RU, rack-mount unit. © Phædrus Audio 2017. All rights reserved.